One of the biggest hassles to any gardener is weeds. According to The Seed Site, weeds are either annual or perennial. Annual weeds have a one-year life cycle, and reseed themselves every year. Perennial weeds are when the plant remains alive from one year to the next, often dying back to the roots. Weeds are broken into two categories’ grassy weeds and broad leafed weeds. According to Ergonica, Texas is home to many varieties of weeds. Grassy weeds are typically harder to identity than broad leaf weeds. 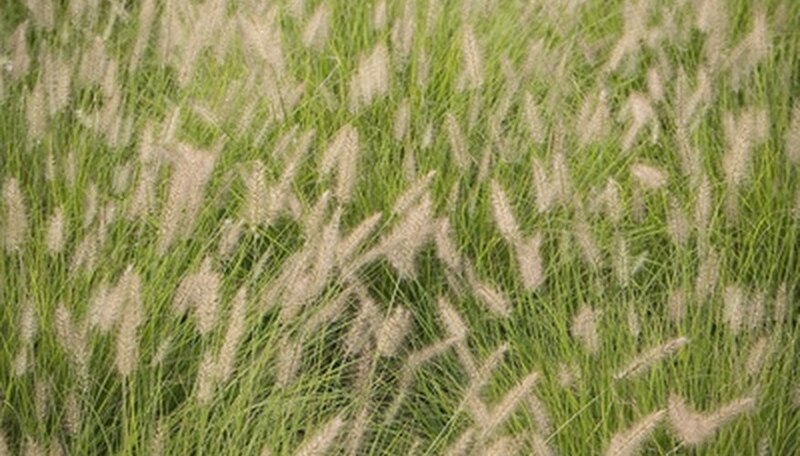 Grassy weeds are, in fact, true grasses or monocots. They generally have long, narrow leaves with veins that run parallel to the leaf. Dallisgrass is a perennial grass dark green in color. Dallisgrass is a low-growing, clumping weed. Seed heads of Dallisgrass arise soon after mowing. Johnsongrass is a perennial grass dark green in color. When Johnsongrass is not mowed the weeds are tall growing. When mowed the weeds are low and clumping. Nutgrass is a perennial weed. Nutgrass is not generally grass. Nutgrass has narrow, glossy, dark green leaves. The plants are interconnected in the root systems. Nutgrass weeds do have flowering stems. Crabgrass is an annual warm-season grass. It has spreading runners, and light green foliage. Their seed heads are evident. Grassburs (sandburs) are annual grassy warm-season weeds. Grassburs are a spreading weed with sharp, spiny seeds. Winter grasses are annuals. Many types of winter grass weeds exist. Some of the types include rye, fescue, and annual bluegrass. They are noticeable in the winter and spring. Winter grasses are dormant on permanent lawn grasses. Broad leaf weeds are not grasses. They are plants from other families. Most types of broad leaf weeds have wider leaves, and many have showy flowers. Numerous broad leaf weeds are annuals, although there are some perennials. Broad leaf weeds are easier to notice for the reason that they flower. The clover is a broad leaf weed. Clovers are either annual or perennial depending on the type. Clovers are most prevalent during cooler weather in Texas. Dandelions are perennial broad leaf weeds. They are bright yellow. They flower early spring, followed by a fluffy white seed head. Dandelions have large, dark green leaves. Henbit is an annual broad leaf weed. They have rounded small leaves and purplish pink flowers. Henbit weeds are most visible in the spring. Chickweed is an annual spreading broad leaf weed. Chickweeds have bright green petite leaves. Chickweeds are most visible in the spring. Roadside aster is an annual broad leaf weed. Its foliage is extremely fine with purplish-white flowers in the fall. Roadside asters are mainly visible in neglected areas.